This has been a year of many new trends in home decorating. Even if you haven’t jumped on the bandwagon with gray paint, shiplap accent walls and Scandinavian-inspired minimalism, this year’s holiday decorating trends are easy to pull off effortlessly and on a budget. In fact, some of them might already be your favorites. Tammy Hamilton is the owner of The Design Studio, which she opened in 2002. She and her team of design professionals help Keller-area homeowners and businesses with their remodeling needs. Jennifer Manley is an interior decorator with Decorating Den. She has been providing in-home consultations to the North Tarrant area for five years. Farrha Hyman is the principal-lead designer at MOD Interiors in Colleyville. She’s been decorating since 2003 and specializes in residential and corporate organizing and designs across Dallas-Fort Worth. This year’s holiday trends are a variation on a home-decor theme that has been growing all year and is easy to complement. Hyman says she’s been seeing a similar variation with “deep purples with a rose-gold accent for a dash of sparkle.” She recommends decorating with one color, but using several shades of that color for a layered, multitoned effect. Tall items, like Santa collections and nutcrackers, look great above kitchen cabinets. Hamilton suggests ways to be playful with your decor by thinking outside the box. Manley says that one of her favorite decorating suggestions year-round is “the bigger, the better.” In both everyday home decor and holiday decorating, a few larger spectacular pieces should be the focal point instead of cluttering up the area with too many smaller ones. In her own home, it’s all about the tree. Manley uses large ornaments and garland to fill the tree and match the scale of the room. 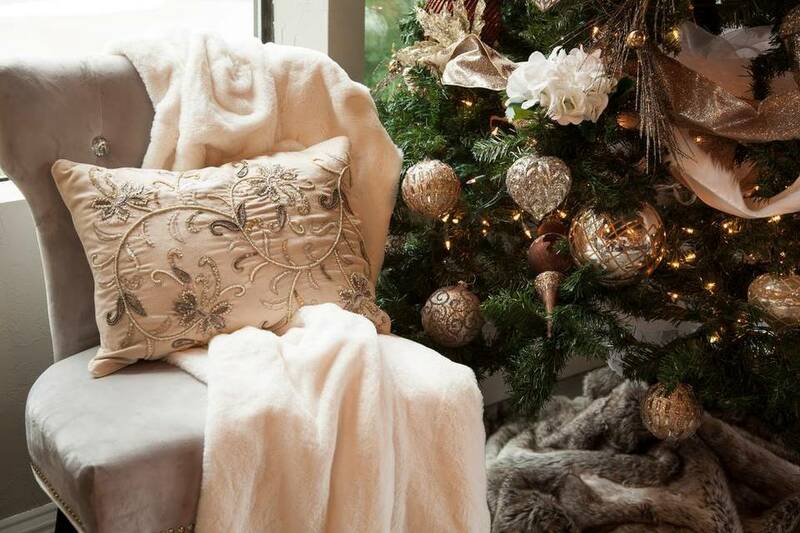 She also recommends adding filler first to make the tree look fuller and to use nontraditional materials like taffeta or silk, which are available in the wedding department of fabric stores. And, of course, anything homemade is perfect because it creates memories and that sense of nostalgia that will be passed down to future generations.